King's College in the UK, Leiden University and Groningen University (both in the Netherlands) as well as Hult International Business School in San Francisco are all regularly feature in Top 100 World University charts. 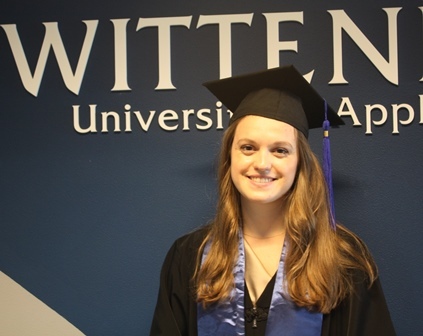 Veerle Knechten, a Dutch graduate, is excited to start at Hult International Business School in San Francisco in the autumn. In 2014 the Financial Times ranked Hult as in the top 1% of business schools worldwide. The esteemed financial paper also ranked it's MBA programme as 2nd in the world for international course experience and 4th for international business. At Wittenborg Knechten specialized in Marketing and Communication. She said she chose Wittenborg because of its diversity and the opportunity to complete her Bachelor degree within 2 years. She highly recommends studying in the Netherlands and staying in Apeldoorn where Wittenborg's main campus is located. "I loved staying in Apeldoorn! Nice place for going out and people are very friendly. I enjoyed living here. The Netherlands has some good teaching methods and there are beautiful places to see." She was inspired by lectures Bob Dyson, Alexander Bauer and Emiel Schiphorst. "As long as you study very hard, be motivated and plan everything correctly, you can graduate from Wittenborg in 2 years." 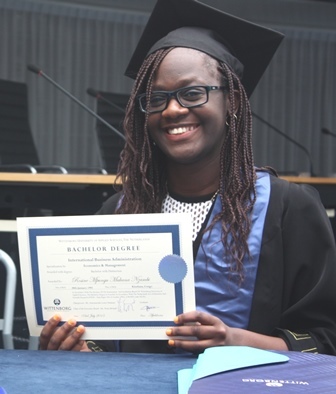 Rosine Nzambi Mpungu, who was born in the Congo, will do her Master Degree at Leiden University. Leiden University also features in the Times Top 100 Listings (64) for 2014-2015 and is THE's highest ranking Dutch university. She specialized in Economics and Management and did her internship at a software company, Book You, in Amsterdam. She decided to study in the Netherlands because her parents worked here. "My advice to other students is to first to set their study goals, to follow it step by step and to stick to it in order to achieve them. Also, my advice I would like to give them is to have time to visit the cities in The Netherlands and to have fun." Iryna Bernatska, a Ukranian student who already holds a Master Degree in International Relations, received a diploma for completing Wittenborg's Foundation Phase to improve her English. 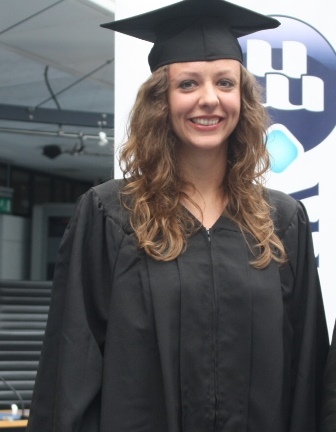 She will now do another Master degree in Marketing and Communication at the University of Groningen. Groningen is part of the global elite with a classification in the Top 100 of the Shanghai Academic Ranking of World Universities and the QS World University ranking lists - two of the most influential ranking lists in the academic world. In the ARWU ranking it is 82nd (2014) while in the QS ranking it is 90th in a chart of more than 700 universities. Mario Wolters, a German graduate, has applied to go to King's College London which is one of the UK's top institutes of higher education. In the Times Higher Education (THE) World University Rankings for 2014-2015 it came in at number 40 - which puts in in the top 10 of Britain's best institutes. In THE's World Reputation Rankings 2014-15 it scored even higher at number 31. 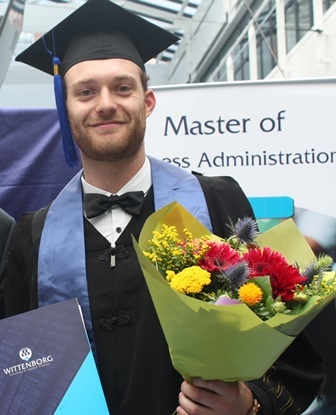 Wolters, who completed an IBA in Economics and Management at Wittenborg University said he chose to study in the Netherlands because the Dutch do well in English and it is close to Germany. Wittenborg has a partnership with Wolters' former institute in Germany, the ANGELL Akademie in Freiburg. His career goal is to attain a middle or top management position in the next 7 years.